- I am working on a real update, but wanted this out now in case i mess up. At least then i won't have to re-do everything! - Silver surfer strat-general for german unit used by rebels fixed. - Silver surfer crews for ballista, catapult, trebuchet and mangonel used by rebels fixed. - WotN-animations merged with TLK-animations - which means all WotN animations are now included in TLK:WotN Expansion. - Frank Archers with working bowstring-animation added to East Frankish Empire. 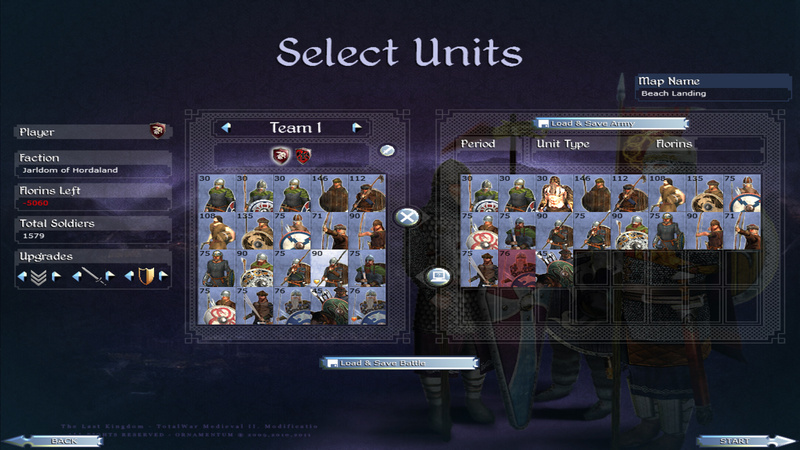 - Replaced the Frankish units in the "German Rebels"-stacks with actual Flemish, Lombard, German etc units. 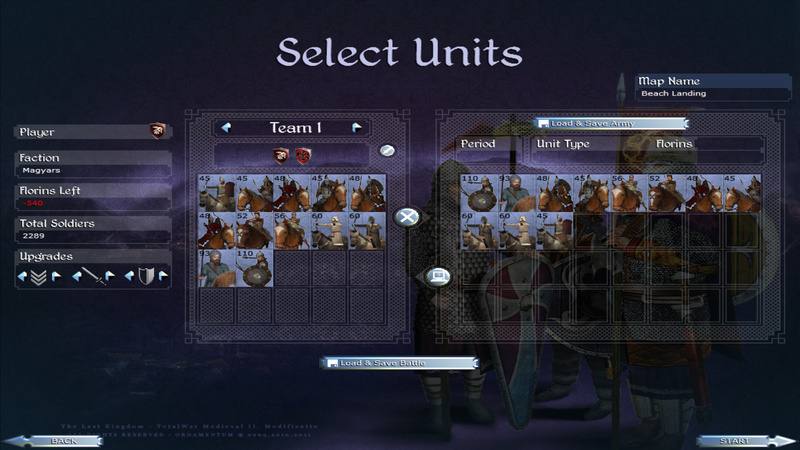 No more cavalry nor other Frankish units for them. - Denmark army now starts in Britain next to East Anglia. - Hordaland now has it's army in Ireland based in Dublin. - Vestfold now has two armies in Scotland in the territories which they had historically. - All factions but the Magyars start out with ships - this means the Vikings will settle Iceland at around turn 30. 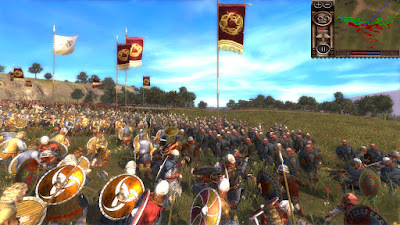 - Northumbrian captain and general added from WotN. 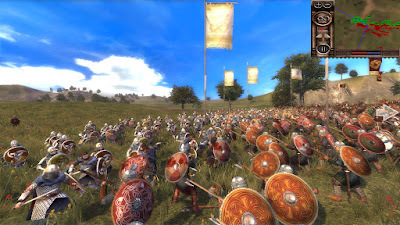 - Shield-textures for Northumbrian general changed from slavic ones used in WotN to the proper Northumbrian emblems. - Fixed a bug were the Celtic Hunters didn't hold their bow correctly. - New music for all factions/cultures - mainly taken from my WotN-music-mod, from the Unofficial 4.0 patch and from DBM. But i have edited all the songs and only taken what i wanted from DBM and the Unofficial Patch. Most of their songs aren't in use. The Kingdom of Gwynedd got some extra work made on their stuff. Nothing new but the music for Gwynedd, Munster/Connach and Alba - in this release at least. - New units for the Francs, Denmark, Hordaland and Vestfold - Denmark has gotten a few new units, the Franks got their whole roster from WotN added to their roster, Hordaland got the Norse units of WotN with the Rygjalandi elites - Vestfold got the Norse units from WotN but with Vestfolds elites. - New Swedish units as a separate rebel faction in Swedish territories - the rebel faction is controlling all the rebels on the map, but the difference with the Swedish units is that the rebel faction can actually recruit and train Swedish and Norse units from Swedish respectively Norse regions. Rebel faction made rich so it will be able to recruit units. - New Regional Recruitment system for specific factions - Mercia/Eastanglia/Wessex can recruit Northumbrian basic troops in their specific regional building - while Northumbria can recruit all of their old Saxon-units if Northumbria has this building. Northumbria gets the Northumbrian units from the start of course. And the others can only recruit Northumbrian elites if they hold the Northumbrian homeland and build the right building for it. Yes, the Northumbrian faction have a completely unique roster made by Absinthia for WotN - i have also fixed the Burwaran-unit and given them a mounted unit. 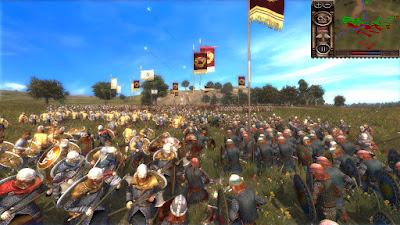 - There is a similiar system for the Viking-factions - if any Viking faction holds the other two factions territories they can recruit all of that factions unique troops - the Norse also has the Unification script as an alternative option. When Hordaland and Vestfold are united they also get all standing armies - but i was not sure about if they could recruit those faction-specific troops. But now they can, and therefore you as a player will have a reason to conquer the other Viking factions before going to Britain. The Swedish rebels have like five unique Swedish Viking-troops - they can all be recruitable if you conquer skara and that other Swedish settlement - and after that build the correct building. But be warned: I gave them huge garrisons to represent them being a faction of their own - Svitjod/Svea and Gautland in a mix - Gautland was conquered by Svitjod soon after anyway. And unfortunately Svitjod wasn't on the map, but Gautland was. - Balanced all the WotN-units so that they are very well balanced based on the system in TLK - with the Real Combat-mod active. You will not have factions that are overpowered or underpowered - they are as they should be historically. While the strongest units may be the Magyar Horsemen - they are a spawning faction with no territories unlike their enemies the Franks among others - they needed to have the best units as they otherwise would stand no chance against factions with developed economies and many settlements. But they are beatable so they´re not overpowered. Makes sense that mounted troops are superior to dismounted ones - and while the Francs and Normans do have mounted knights - they don't have horse archers. - Fixed alot of minor bugs and errors, as well as implemented the whole Unofficial Patch 4.0 manually ontop of my mod by myself - using the tool Total Commander to compare my files with Wino's - as he recommended. - Added troops to starting positions in the descr_strat, the scripts and the rebel_factions-file - you will have more varied armies from the start - and there are many different kinds of rebels not there previously. 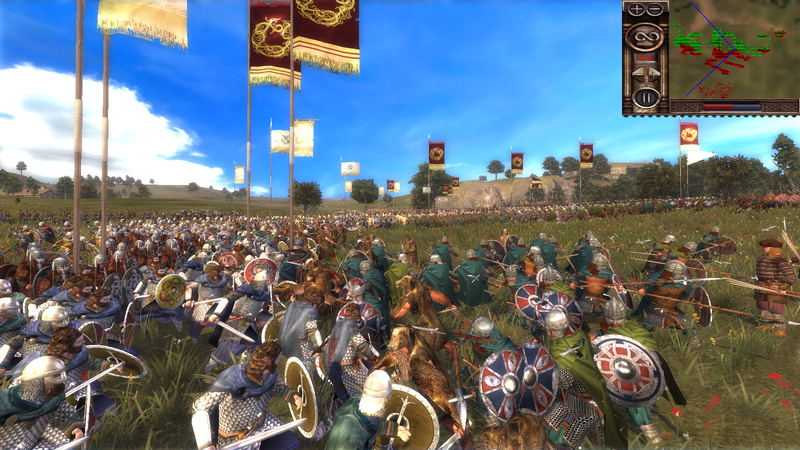 - Added siege engines to the campaign, and ballistas, trebuchets and catapults were already in custom battles for the Normans and the Francs. Now they are in the campaign, and in custom battle - for all factions! But there is a little trick to getting them in the game. All the factions can build Ballistas if they build a siege-building - but only the cities starting as highly developed cities are able to build Catapults - this means they are restricted to Saxon and Frank-territories - and the only possible way to get a catapult for barbarians and Vikings will be by conquering those highly developed cities. The same rule applies to Trebuchets and Mangonels - the last which i added to the Franks. But in these cases it is even more rare to get across these siege engines - you'll need to conquer one of the big frankish cities! Saxons doesn't have the skill to create Trebuchets and Mangonels in this early era - it's a Frankish Empire-only thing. But everyone who holds one of their key-cities, such as Aachen, Paris or that third one - can create these siege engines. - Added Swedish accents for Viking factions - 1700 Empire:TW-style - didn't fit the stratmap very well but works - on the battle-map it is much better because they still say the same insults as in Medieval II. I am sure i did more but this is what i remember currently right off the tip of my head - i have been working on the mod for at least four and a half full weeks (including evenings) like 17h/7- i hope you guys will enjoy it. 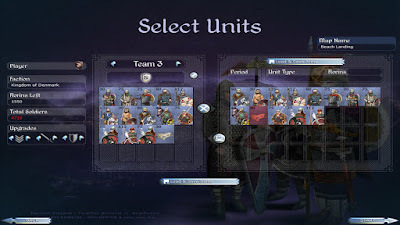 It feels pretty complete, were it not for a few unit portraits that needs to be fixed - they are currently using placeholders. I played it for a few hours in hotseat and it worked great - i have played it with auto-resolve in an older version from last summer for over 500 turns. But this is a new version and i haven't played one single long campaign by autoresolving. But i think it should work fine! Remember that i use the CD-version - don't ask me for help with Steam - but it should be compatible with steam also. But i only help if you are using the CD-version. Danova & team - For the base TLK-MOD! Absinthia - for the WotN-units such as the Franks, the Northumbrians and the new Vikings - also a thank you to Leif Ericsson for the Vigamenn - Absinthia and Horsa were fine with me using the units, as i am also a developer on WotN currenly - and they told me that Leif would probably be more upset than happy if i didn't include his unit (the Vigamenn) also. I guess i was fine with Absinthia giving thumbs up on that one. TLK and WotN were created by different teams around the same time period - and i know about Horsa and Danova having a sharing agreement which we are playing upon in WotN: Grand Campaign. Thanks to Heathen Storm also if you have done anything on the units. But mostly, this was all Absinthias work and he should have credit for the bigger part of the rosters. Thanks to Darius - for allowing me to use parts of East of Rome: Danube Limes in Wrath of the Norsemen - as this is an "expansion" in the middle of the two WotN-releases - with a clear WotN-connection - i assume this was fine as well - because i got permission for the big one. And this is the same thing but set only in Britain and smaller parts of Europe. Thanks for allowing the use. Then i wanna thank Wino - for his advice on using Total Commander to help me add his changes on-top of my own submod - thanks man! Would have been very hard without that program. Thanks to crosscheck86 for his "Swedish Accents"-modification - which i added in with permission from him, and which adds Swedish voices to the Norsemen and Danes! There were no Danish nor Norwegian voices to be found. And it suits the Swedish rebels well. And finally to Rhaymo, the creator of DBM - for using some of the music of his mod. Not that he ownes the music but it was still in use in his mod. I wanna thank Derek Fiechter, an artist - for letting me use his song "Celtic Music Instrumental - Avalon" in the mod - on condition of mentioning him.